The biggest inflatable slide rental of them all! The triple lane Kongo Krazy Inflatable Slide will drop your guests mouths at it's sheer size. The triple lanes support maximum throughput. 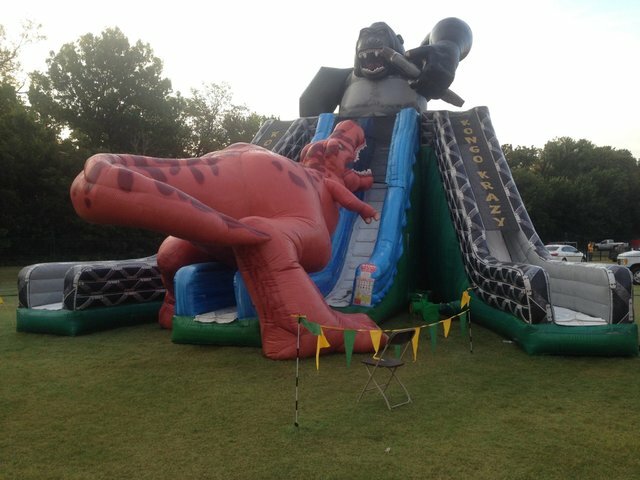 Kids will love nothing more than climbing up between king kong and a massive trex to ride these incredible inflatable rentals.